Posted on: November 10th, 2016	by Jennifer A.
Cambridge ~ Lloyd Rd. & Cambridge Dr.
Guisti ~ Myrtle St., Archie & Maxwell Sts. Ivyhill Park ~ Ivyhill & Idlebrook Lns. Midland ~ Marjorie St. & Jersey Ave.
Ross Field ~ Cliffwood Ave. & Lenox Rd. Railroad Plaza Park ~ Railroad Pl. Playground. Check out our visit to Railroad Plaza Park by clicking here. 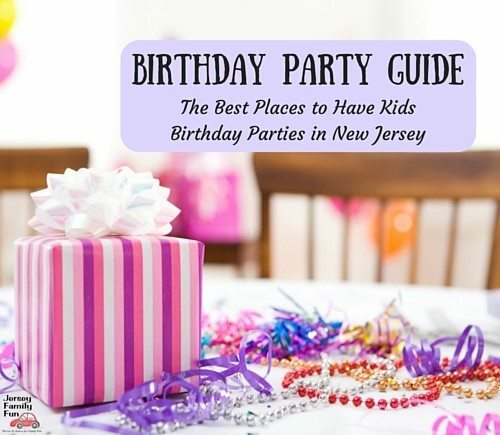 Kennedy Park ~ Grand Ave.
Library Square Park ~ Asbury Ave.
Sunset Park ~ Sunset Ave.
Center Avenue Park ~ Center Ave.
East Avenue Park ~ East Ave.
Fireman’s Memorial Field ~ E. Highland Ave.
Harbor Park ~ Simon Lake Dr.
Lenape Woods Nature Preserve ~ East Highland Ave. & Ocean Blvd. AND Sears Ave. & East Washington Ave. 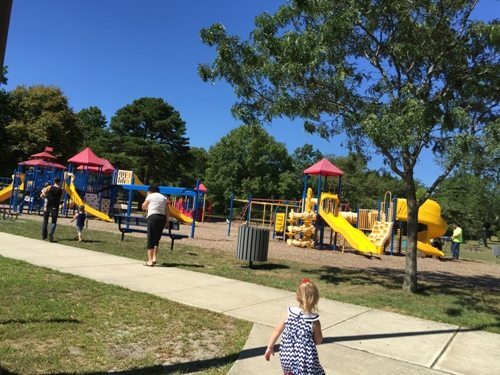 Many Mind Park~ Navesink Ave.
South Avenue Park~ South Ave.
Av0n Ballfield ~ 25 Main St.
Jefferson & South Station ~ Jefferson Ave. & South Station Ave.
Dempsey Park ~ 16th & Railroad Ave.
Tennis courts, playground & picnic area. Check out our visit to Maclearie Park by clicking here. Memorial Field ~ 12th Ave. & 13th Ave. Bucks Mill Recreation Area ~ 125 Bucks Mill Rd. Five Point Park ~ 50 Five Point Rd. Freer Nature Preserve ~ 49 Creamery Rd. Laird Road Recreation Area ~ Laird Rd. Schlesinger Preserve ~ 95 Crine Rd. Harry Franco Park ~ Roseld Ave.
Playground. Check out our visit to Harry Franco Park by clicking here. 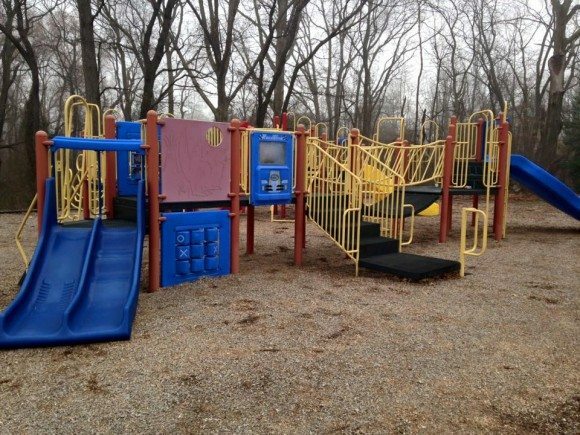 80 Acres Park ~ Industrial Way & Wall St.
Playground, walking trails, baseball fields, basketball courts & horseshoe pits. 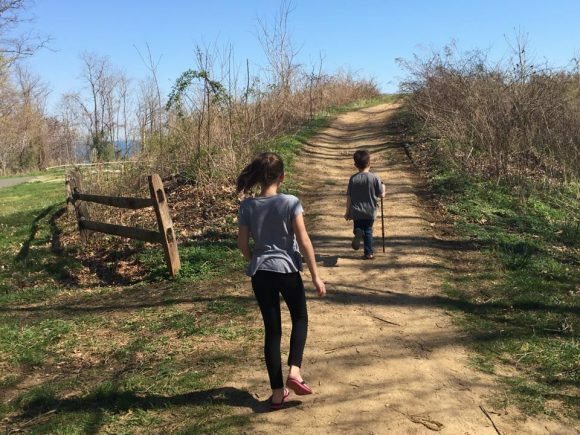 Check out our visit to 80 Acres Park by clicking here. Bliss Arboretum & Wildlife Sanctuary ~ North side of Wyckoff Rd. 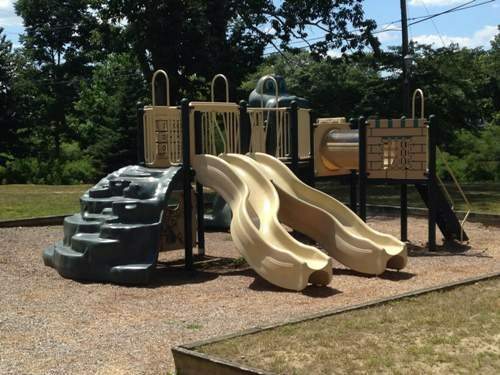 Husky Brook Park ~ Grant Ave.
Leon Smock 80 Acre Park ~ Industrial Way East & Wall St.
Meadowbrook School Park ~ Wyckoff Rd. Memorial School Park ~ 7 Grant ave.
Vetter School Park ~ 3 Grant Ave.
Wampum Memorial Park ~ Rt. 35 & West St.
Wolcott Park ~ Bordered by Lewis, Willow & High Sts. 3 ball fields, 4 tennis courts, 2 bocce courts, basketball court, horseshoe pit, shuffleboard court, pavilion & playground. Check out our visit to Wolcott Park by clicking here. 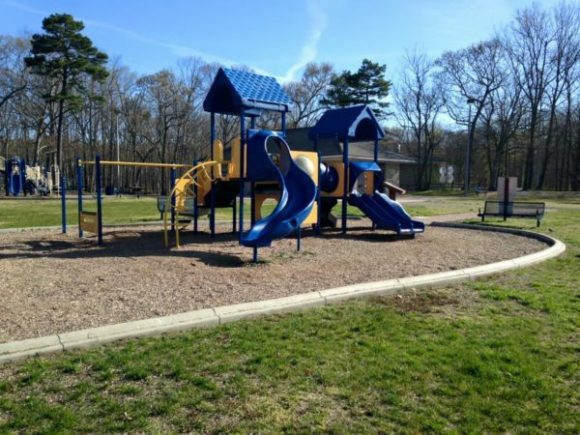 Woodmere School Park ~ 37 Raleigh Ct.
Sanford Park ~ Main St.
Fair Haven Fields Natural Area ~ River Rd. 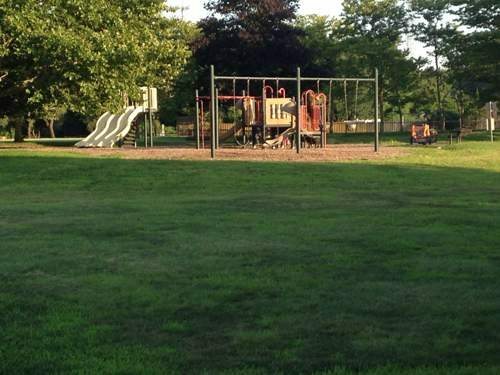 Fair Haven Fields Recreation Area ~ Dartmouth Ave.
McCarter Park ~ McCarter Ave.
Sportsman’s Field ~ Hance Rd. Duchess Court Park ~ 20 Duchess Ct.
Durand Park ~ 225 Randolph Rd. Greentree Park ~ 75 Coldspring Rd. Medford Park ~ 1 Medford Blvd. Michael J. Tighe Park ~ 65 Georgia Rd. Opatut Park ~ 458 East Freehold Rd. Sandy Brook Park ~ 10 Parkside Ave.
Stonehurst Park ~ 240 Stonehurst Blvd. Whittier Oaks Park~ 500 East Freehold Rd. Woodgate Park ~ 100 Ticonderoga Blvd. Middle Road Park ~ Middle Rd. Veterans Memorial Park ~ Union Ave.
Soccer fields, baseball field & tennis courts. Check out our visit to Veterans Memorial Park by clicking here. Hartshorne Woods Park ~ 1402 Portland Rd. Trails, fishing, picnic areas & cross country skiing. Check out our visit to Hartshorne Woods Park by clicking here. Huddy Park ~ Bay Ave.
Ackerson Park ~ 17 Crape Myrtle Dr.
Allocco Park ~ 299 Middle Rd. Holmdel Recreation & Swim Club ~ 21 Bailey Ln. Phillips Park ~ 110 Telegraph Hill Rd. Veterans Memorial Park ~ 100 Telegraph Hill Rd. Alfred C. Sauer Park at Echo Lake ~ 1225 Maxim-Southard Rd. 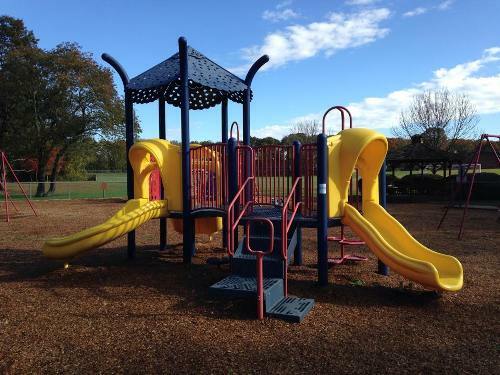 Ardena Acres Park ~ Camelot Dr.
Deerwood Park ~ 2740 Lakewood Allenwood Rd. Diamond Lane Park ~ Diamond Ln. Freewood Acres Park ~ Smith Ave.
Hoffman Park ~ 449 Adelphia Rd. Howell Dog Park “Bark Park” ~ Preventorium Rd. Monmouth Ridings Park ~ 150 Oak Glen Rd. Oak Glen Park ~ Preventorium Rd. Pearl Drive Park ~ Pearl Dr. Pride Park ~ Seton Hall Dr.
Ramtown Manor Park ~ Virginia Dr. Soldier Memorial Park ~ Lakewood Farmingdale Rd. Tioga Park ~ Hialeah Ct.
West Farms Park ~ West Farms Rd. Winston Park ~ Redwood Rd. Interlaken Park ~ Bridlemere Ave.
Collins Field ~ Railroad Ave.
Donahue Playground ~ Carr Ave.
Forest Park ~ Forest Ave. Friendship Park ~ 8 Frances Pl. St. John’s Playing Fields ~ St. John’s Pl. James Sidoti Skatepark ~ St. John’s Pl. Cedar Street Park ~ Cedar St.
Behrman Park ~ Margerum Ave.
Borough & Library Fields ~ 480 Prospect Ave. Challenger Field ~ 320 Willow Dr.
Firehouse Field ~ 543 Prospect Ave.
Point Rd. School Field ~ 357 Point Rd. Sickles Field & Park ~ 200 Rumson Rd. Pleasure Bay Park ~ Atlantic Ave. Bucks Head ~ Doe Dr.
Holiday Park ~ Bethlehem Rd. Knolls Playground ~ Lamb Ln. Locust Grove ~ Holiday Rd. Manor Drive ~ Manor Dr.
Pension Hill ~ Pension Rd. Pinewood Drive ~ Pinewood Dr.
Thompson Grove ~ Thompson Grove Rd. Curtis Park ~ Main St. & Warren Ave.
Shuffleboard court, basketball court, playground & picnic area. Check out our visit to Curtis Park by clicking here. Mallard Park ~ South Potter Ave.
Mac’s Pond ~ North Main St.
George P. Skokos Park ~ Manito & Iroquois Rds. Indian Hill Park ~ Fisk & Church Sts. Charles Tassini Wildlife Park ~ Central Ave.
Edgar Felix Bike Path ~ Main St.
Axel B. Carlson Jr. Park ~ Stockton Lake Blvd. Stockton Beach Park ~ 2nd & Stockton Aves. Alice M. Hemphill Sanctuary ~ Stockton Lake Blvd. William Donovan Municipal Marina ~ Glimmer Glass Harbor on Perrine Blvd. Falson Park ~ Falson Ln. Hawkins Road Park ~ Hawkins Rd. off Union Hill Rd. Marlboro County Park ~ Gordons Corner Rd. Marlin Estates Park ~ East Francis Ave.
Municipal Complex ~ Wyncrest Rd. Nolan Road Park ~ Corner of Lloyd & Nolan Rds. Union Hill Recreation Complex ~ Union Hill Rd. Vanderburg Sports Complex ~ Vanderburg Rd. Wicker Place Park ~ off Texas Rd. Woodcliff Park ~ Woodcliff Blvd. Jeremiah E. Hourihan Field ~ Broad St.
Clinton Street Youth Center ~ Clinton St.
Gravelly Brook Park ~ Claire Ct.
Joseph Penniplede Park ~ Jackson St.
Lake Lefferts ~ Ravine Dr.
Terhune Park ~ South St. between Main & Broad Sts. Toomer Baseball Field ~ Middlesex Rd. Applebrook Park ~ Iler Dr.
Belford Park ~ Main St.
Bodman Park ~ Market St.
Butler Park ~ Port Monmouth Rd. Church Street Park ~ Church St.
Clearwater Fields ~ Beaman Blvd. Countryside Park ~ Cherry Tree Farm Rd. Crystal Pond Park ~ Main St.
Dorsett Park ~ Devonshire Dr.
Evergreen Park ~ Lone Oak Rd. Fairview Soccer Fields ~ Oak Hill Rd. Fairway Park ~ Middletown-Lincroft Rd. Gordon Court Park ~ Gordon Ct.
Greeley Park ~ Brainard Ave.
Hillside Park ~ Chestnut Ave.
Kunkel Park ~ Brevent Ave.
Lincroft Acres ~ Orchard Hill Rd. 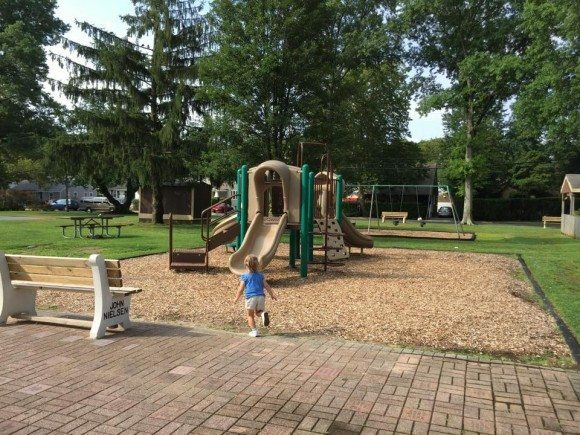 McMahon Park ~ Alberta Ave.
Middletown Township Thompson Park ~ Newman Springs Rd. Navesink Library Tennis Courts ~ Sears Ave.
Normandy Park ~ Nutswamp Rd. Schultz Park ~ Fairview Dr.
Tindall Park ~ Tindall Rd. Tonya Keller Community Center ~ 50 Bray Ave.
Waloo Park ~ Main St.
West Front Street Park ~ West Front St.
Wilmort Park ~ Washington Ave.
Abate Park ~ 29 Charleston Spring Rd. Brandywine Soccer Complex ~ Stillhouse & Stagecoach Rds. Little League Fields ~ 771 Perrineville Rd. Rocky Brook Park ~ 899 Perrineville Rd. Wagner Farm Park ~ Baird Rd. & Woodville Rd. Adams Field ~ West End Ave.
Bert Willis Park ~ Old Corlies Rd. Boswell Park ~ Cookman & New York Aves. Bradley Park ~ 10th & Ridge Aves. Fireman’s Park ~Delaware & Main Aves. Founders Park ~ Surf & Central Aves. Fred Boeing Little League Complex ~ Jumping Brook Rd. Greenleaf Park ~ Mt. Carmel Way & New York Ave.
Loffredo Fields ~ W. Bangs Ave.
Memorial Park ~ Riverview Ave. Ocean Grove Park ~ Broadway & Central Aves. 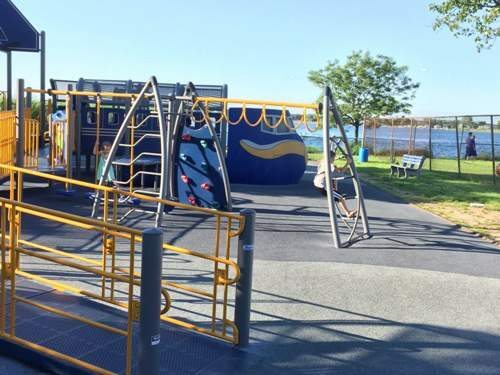 Shark River Hill Playground ~ S. Riverside Dr.
Sunshine Village Park ~ Pine Dr.
Volunteer Park ~ S. Riverside Dr.
David A. Dahrouge Park ~ Park Blvd. Dow Avenue Soccer Fields ~ Dow Ave.
Fireman’s Field Memorial Parkway ~ Roslyn Dr.
Joe Palaia Park ~ Deal Testsite Rd. Playground, baseball fields & walking path. Check out our visit to Joe Palaia Park by clicking here. Wayside Park ~ Green Grove Rd. Playground & tennis courts. Check out our visit to Wayside Park by clicking here. Blackberry Bay Park ~ Horicon & Port au Peck Aves. 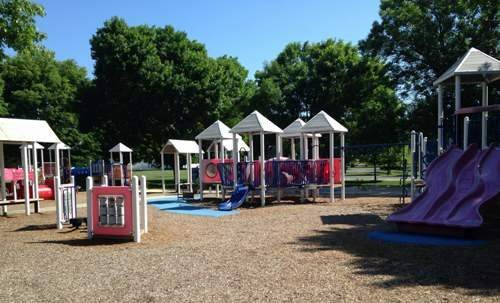 Maria Gatta Community Park ~ Port au Peck Ave.
Old Wharf Park ~ E. Main St.
Wolf Hill Recreation Area ~ Crescent Pl. Belhaven Nature Area ~ Locust Ave.
Count Basie Park ~ 11 Henry St.
East Side Park ~ 272 Mechanic St.
Meadow Ridge ~ Ridge Rd. Piping Rock Memorial Park ~ East River Rd. Riverside Park ~ Riverside Dr. & Wardell Ave.
Rogers Park ~ intersection of Church, Lafayette & Allen Sts. Victory Park ~ Lafayette St.
Playground, bandstand, 2 tennis courts, basketball court & bocce court. Check out our visit to Victory Park by clicking here. West Park ~ Rumson Rd. 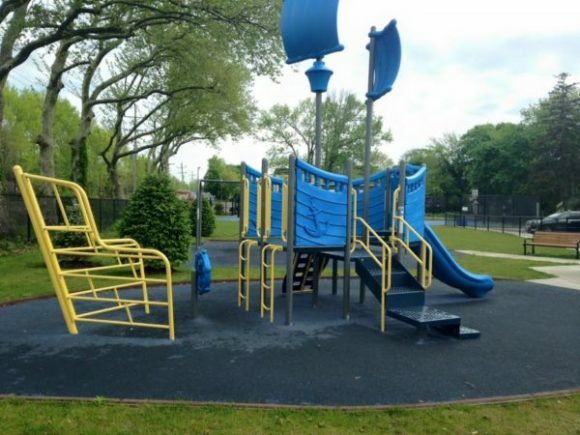 Crescent Park ~ 1st Ave.
Borough School Recreational Facilities ~ Obre Pl. Manson Park ~ Broad St.
Parker Park ~ Patterson Ave.
Robert Graham Athletic Fields ~ Sickles Pl. Divine Park ~ along East & West Lake Aves. Divine Park Tennis Courts ~ Passaic Ave.
Marucci Park ~ South Ave. & 3rd Blvd. Potter Park ~ Railroad Ave.
Allaire Road Park ~ Allaire Rd. Ocean Road Park ~ Ocean Rd. Atchison Fields ~ 961 Sycamore Ave.
Hance Park ~ 112 William St.
Hockhockson Park ~ 295 Hockhockson Rd. Basketball courts, playground, 3 lighted baseball fields, picnic area & concession stand. Check out our visit to Hockhockson Park by clicking here. Kiva Park ~ 1880 Wayside Rd. Liberty II ~ 1420 West Park Ave.
Pine Brook Park ~ 1175 Pinebrook Rd. Sycamore Recreation Complex ~ 977 Sycamore Ave.
Helen Harding Hayes Memorial Park ~ Stone Rd. Scholer Park ~ Spruce St. Waterfront Park ~ Front St.
Assunpink Wildlife Management Area ~ Elldridge Rd. Byron Johnson Park ~ Elisdale Rd. Airplane Park ~ Belmar Blvd. & New Bedford Rd. Brice Park ~ Allenwood-Lakewood Rd. Camp Evans ~ Belmare Blvd. & Marconi Rd. Candy Cane Park ~ Marconi Rd. Community Park ~ Allaire Rd. & Baileys Corner Rd. Dolan Field ~ Atlantic Ave.
Edgar Felix Bike Path ~ W. Main St. Fish Park ~ Cleveland & Grants Sts. George Frame Park ~ 1st & 17th Ave. Heroes Park ~ Marigold Ave.
Kiddie Koral ~ Tilton’s Corner Rd. Old Mill Park ~ Old Mill Rd. 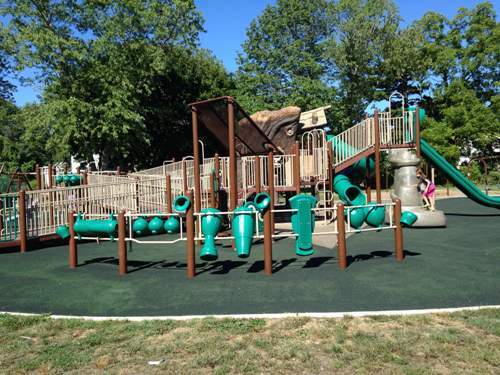 Orchard Park ~ Church St.
Roosevelt Playground ~ Roosevelt St.
Rose Hill Park ~ Stines Rd. West Atlantic Avenue Basketball Courts ~ W. Atlantic Ave.
Beechwood Tennis Courts ~ Beechwood Ave.
Frank “Clint” Sorrentino Park ~ Monmouth Rd. & Wall St.
Franklin Lake Park ~ Lakeview Ave.
George M. Conway Park ~ Parker Rd. 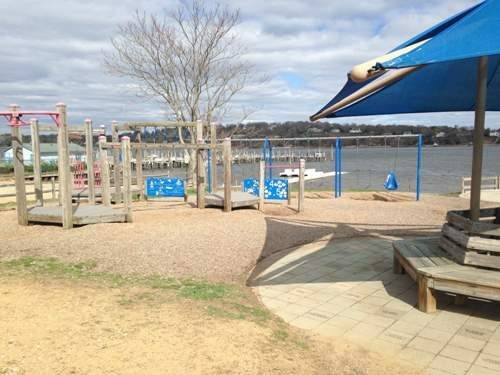 Playground & picnic area. 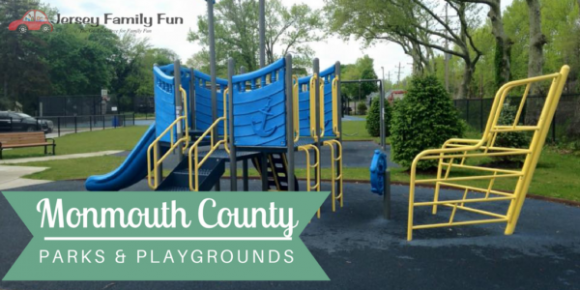 Check out our visit to George M. Conway Park by clicking here. Kessler Field ~ Larchwood Ave.
Lakeview Avenue Field ~ Lakeview Ave.
71 acres site, being preserved in its natural state. Undeveloped with no facilites & limited access. 1,208 acres, fishing, trails, playground, ice skating, picnic areas, kayak & rowboat rentals. 667 acres, visitor center, trails, playground, tennis courts, fishing, canoeing, kayaking, boating, picnic area, Creative Arts Center, off-leash dog area, soccer/rugby fields & cross country trail. Check out our visit to Thompson Park by clicking here.